Since the 1880s, during the reign of King Tāwhiao, the marae affiliated to the Kīngitanga have been held together by traditions such as the poukai, an annual circuit of visits by the king that includes feasting and cultural performances. 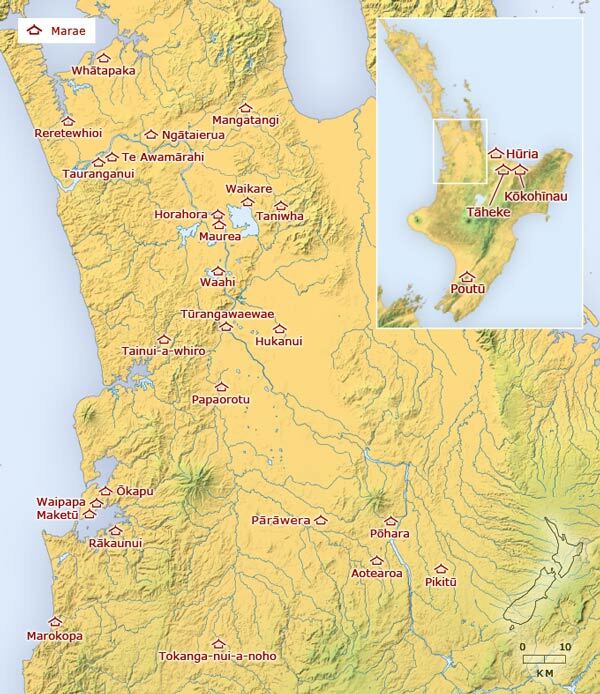 This map shows the marae that are included in the round of poukai. I need all the poukais that are held in most marae in a year.